Denmark Facts - Discover Wonderful Denmark, Ultimate Travel Guide. Denmark Facts: All you need to know about this wonderful country. You can purchase a Copenhagen card (CPH: CARD), which entitles you to free travel on public transport, free admission to 62 museums, visiting various attractions and offers discounts up to 20% in many cafes and restaurants. Denmark is the oldest monarchy in the western Europe? Until the 19th century Denmark ruled across northern Europe and was a very powerful kingdom! 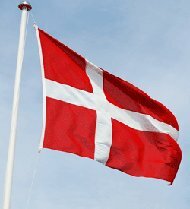 The national flag of Denmark, the Dannebrog is the oldest country flag in the world still in use. Denmark was the first European country to abolish slavery on moral grounds. In 1902, Denmark became the first country in the world where the fingerprints were used as evidence in a crime. Denmark has the happiest people in the world! The scientific study of the nature of happiness, conducted the University of Leicester in England found that the happiest people live in Denmark. You just have to watch this short video about Denmark! This is a real opportunity to see all the natural beauty of Denmark and it's famous monuments in just 4 minutes! Why you should visit the smallest Scandinavian country? Why is Denmark so special? I have a very simple answer - Because you can find almost everything in Denmark. Famous tourist attractions, lively cities, viking ruins, medieval castles and rural countriside. Copenhagen is a very special destination for tourists as the largest and most cosmopolitan city of Scandinavia. Denmark is the home country of Hans Christian Andersen, Lars Ulrich, Niels Bohr and other great people. Denmark's Roskilde music festival is the biggest music event in the whole Europe. If you love theatre, you must visit Hamlet performance in Helsingor castle. Vacation in Denmark is ideal for you, if due to any reasons you don't like hot, boiling climate and would like to find lovely beaches and harbors. Baltic sea is always warm enough in July - August. Danish climate is always mild. In Denmark you can combine a vacation on the marvelous beach with learning more about rich culture and history in one of the oldest kingdoms in the Europe. Denmark is the perfect place to spend time with whole your family, especially with your children. 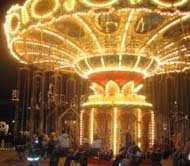 There are numerous entertainment centers, aqua parks and of course Danish Legoland. Kids from all around the world dream to get there and play with lego bricks. What's YOUR most favorite place in Denmark? Top 10 places to visit in Copenhagen. Save Money with the Comprehensive Hotel Searching Tool. 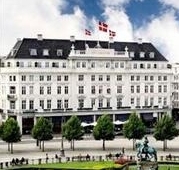 You can search Denmark Hotels availability, prices for all hotels in Denmark, find the Best Deal and Book online. We hope our website will help You to plan a perfect trip to Denmark and learn more about this wonderful scandinavian country. 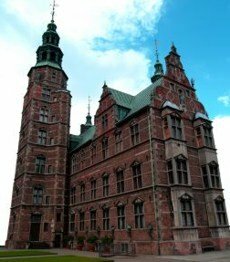 Dear friends, Denmark facts provide travel information, tips and substantial assistance for when you are inside country. Tourists, Students, Work seekers and even Danes themselves will find a lot of useful information on our pages. Our software allows ou to make comments and to provide your own articles and reviews. YOU can make a valuable contribution to Denmark Facts .com and share your knowledge with a Global Network. Denmark Facts .com have visitors from 97 countries.